The Compsognathus was a small therapod dinosaur that was the size of a turkey. It lived in the early Tithonian stage of the late Jurassic Period, which was about 150 million years ago. The Compsognathus lived in what is now known as Europe. Fossils have found 2 well-preserved fossils in Germany and France. 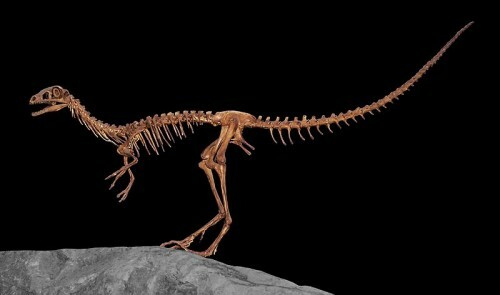 Many describe the Compsognathus as a small chicken-sized dinosaur because of the German specimen’s small size. It is now believed to be just a juvenile size due to the French specimen that was found. We do know that the Compsognathus was a carnivorous creature which ate small and agile lizards. We know this because these were found preserved in the bellies of both of the German and French specimens found. In Portugal, teeth of the Compsognathus may have also been found. The Compsognathus was one of the first dinosaurs known because it had a complete skeleton. 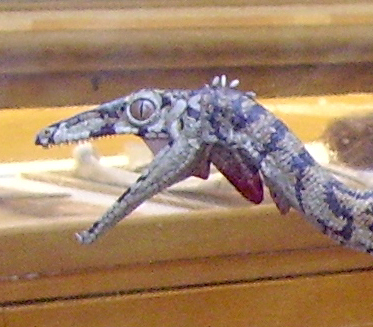 The German specimen found was only 1 metre long. Even the French specimen that was found is estimated to weigh only between a mere 0.83 to 3.5 kg! It was only until recently that this dinosaur was known as the smallest dinosaur known to man. In addition, because it was one of the first dinosaurs known to man due to its small size, it has been featured in many children’s dinosaur books. This small, bipedal animal had a long tail and hind legs. Its forelimbs were smaller than its hindlimbs, and it had solid claws with 3 digits which were good for grasping onto prey. It had a delicate long and narrow skull, and a tapered snout. Its lower jawbone had a hole in it, which is typically seen in archosaurs. It had small but sharp teeth which were perfect for eating small animals such as insects and other vertebrate. In popular culture, the Compsognathus has been featured in the hit novel turned movie series, Jurassic Park.